OK, so I know I don’t do clean and simple much. But I just love the way it looks. I drink in everything Jennifer McGuire makes, most of which is pretty clean and simple, at least to me, shabby chic lover! So when I started making these 3×3” notecards, I knew not too much would fit on them so I needed to go pretty simple. 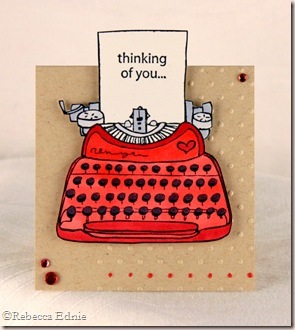 Jennifer had an adorable typewriter card on there recently so that was my inspiration. It’s hard to see in this photo but there is a cute little box under the pink card. I had a card box sized to hold 3×3” cards but these are a bit taller with the tent topper style of the typewriter placement. So I created a bottom extension for the box, placing adhesive on the bottom and bottom flaps which are left untucked. Now my cute little cards have enough room! I added a little label and some rick rack with button accents. 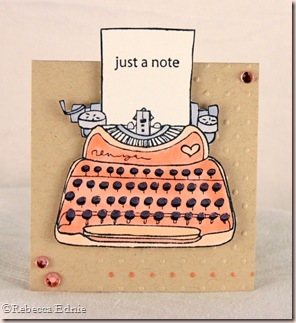 Each little card is embossed on one side only and the bottom row of dots have a tiny touch of Copic to accent them. This one is much pinker IRL. Not sure why it looks so blotchy and washed out. 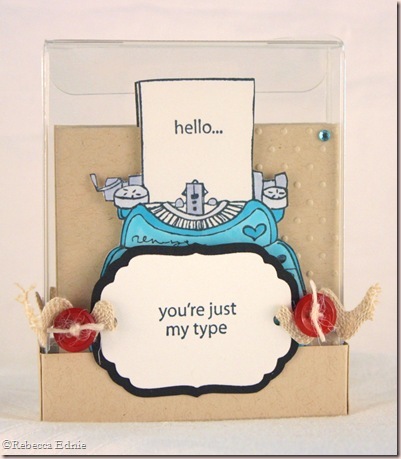 Oh, and I made envelopes too but they are plain white with hello in a matching ink; they don’t fit in the box though (forgot about that when I designed the box). 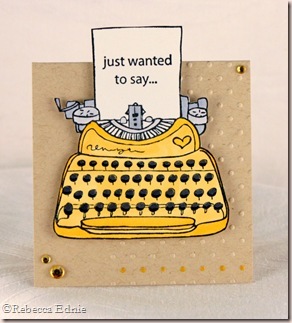 I’m entering this set in the Moxie Fab World Card Set Challenge. Wanna play? See you there! The deadline is April 21. 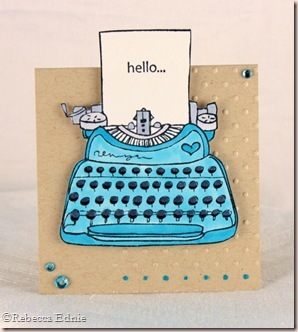 Paper: white CS-Taylored Expressions, kraft CS-SU! Very cute! 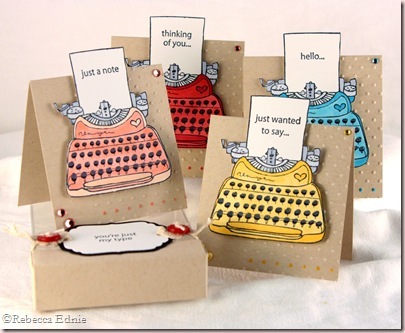 Love the colorful typewriters on the kraft cards.